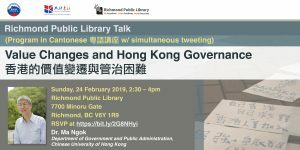 In recent years, Hong Kong has witnessed obvious changes, especially among the younger generations, in terms of people’s post-materialist values, their attachment to China, and their trust in the government. There is a trend towards polarization as well as a widening value gap between generations. Recent events have shown that this widening gap has added to Hong Kong’s governance problems, which are becoming increasingly difficult to resolve. Ma Ngok is an Associate Professor of Government and Public Administration at the Chinese University of Hong Kong. 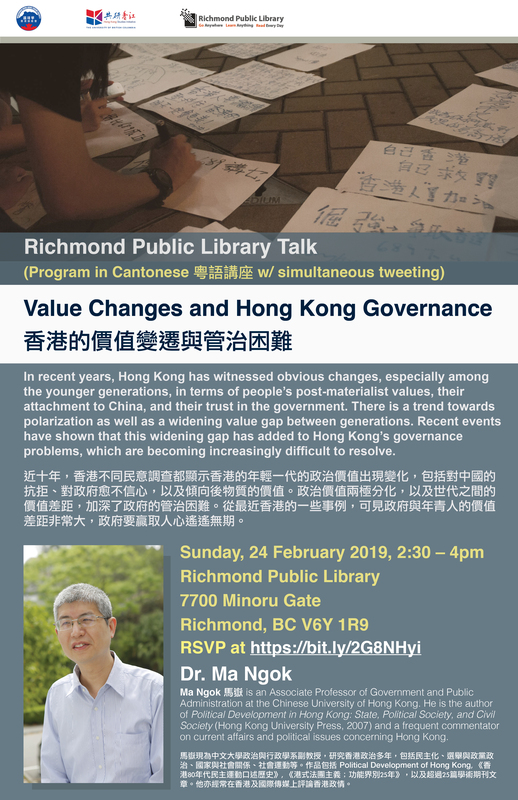 He is the author of Political Development in Hong Kong: State, Political Society, and Civil Society (Hong Kong University Press, 2007) and a frequent commentator on current affairs and political issues concerning Hong Kong. 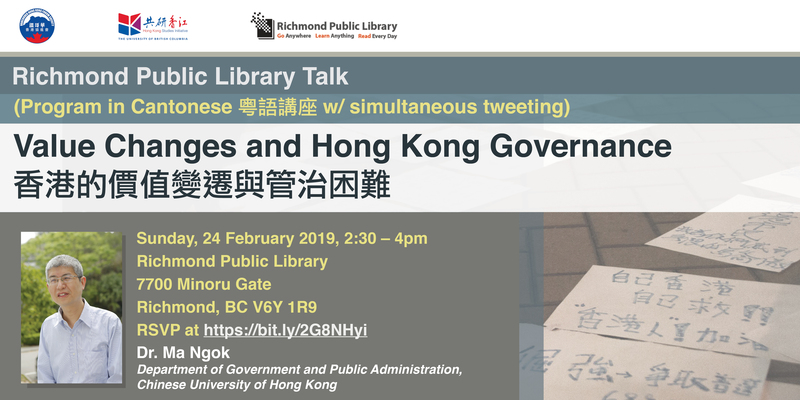 This community conversation is co-sponsored by: Vancouver Hong Kong Forum Society, UBC Hong Kong Studies Initiative, and Richmond Public Library.